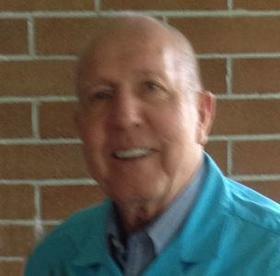 Dwayne "Duff" Holt, age 82 of Holland, went to be with his Lord and Savior on Thursday, March 14, 2019. Duff was preceded in death by his siblings; George Holt, Doris Lapine, Ann Irwin, Darlene Troutner, Don Holt, Jack Holt, and Patricia Pearson. He is survived by his loving wife Nancy of 42 years; son, Paul Schaffer; grand-daughters, Jennica Schaffer, Whitney Schaffer; 3 great-grandchildren; sister, Marilyn McArthur, and many in-laws, nieces, nephews, and cousins. A funeral mass will take place Tuesday, March 19 at 11:00 A.M. with a one hour visitation prior to the service at St. Peter's Catholic Church, 100 St Peters Dr, Douglas MI. In lieu of flowers, contributions may be made to Hospice of Holland or St. Peter's Catholic Church.